This fall, I have partnered with President’s Choice to showcase some delicious and nutritious recipes that Canadian parents can cook in the time they actually have. 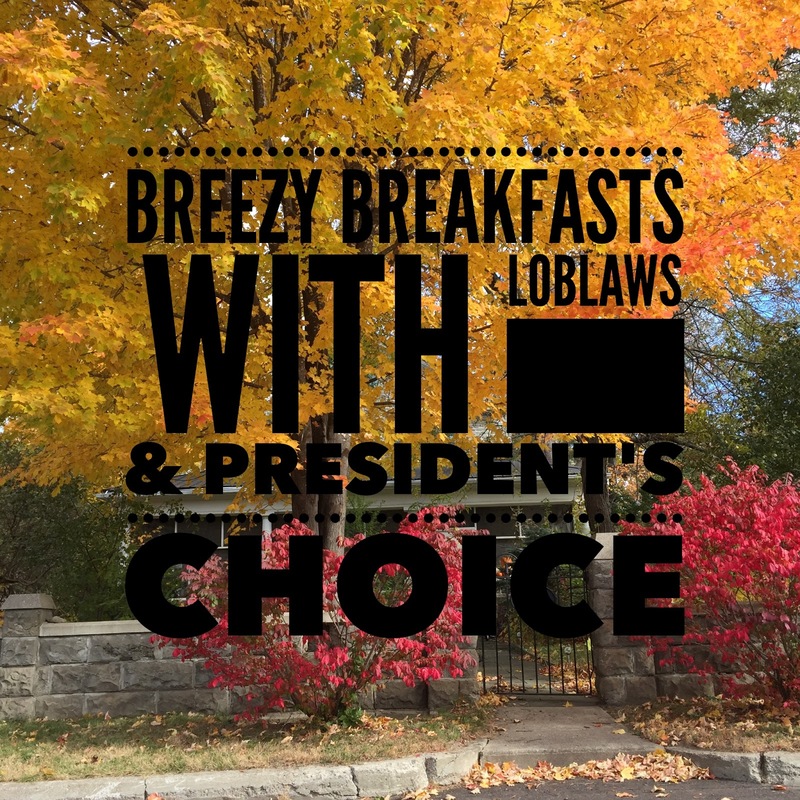 This is the first of three posts that I am collaborating on with President’s Choice. Each post will focus on a specific meal – one for breakfast, lunch, and dinner, and will give you some ideas on how President’s Choice can fit into your family’s mealtime routine. Getting back into our routine after our nomadic summer was a struggle. Our biggest challenge has been ensuring that everyone has a healthy and delicious breakfast, to give them the fuel they need for the day ahead. Our biggest breakfast issue is that mornings are our crunch time – there is little room for error (or meal prep) in the morning. Therefore I plan, prep, and prepare breakfast, lunch, and dinner either the evening before or on the weekends. This was our first time using President’s Choice products as the primary ingredients in our healthy breakfast selections. While in the grocery store the kids and I were shocked at the variety of organic products available and how wholesome the President’s Choice selections were overall. Our first creation was a joint effort by Beckett & Andie. They decided to make muffins to eat on their walk to school in the morning. Their thinking was that if they ate breakfast on the way to school instead of at home, they would have more time to play outside before they had to head to school. The recipe was simple to follow for my 6 & 10 year old children. I appreciated the fact that this President’s Choice recipe used a limited amount refined sugars. 1. Preheat oven to 375 F (190 C). Spray 12-cup muffin pan or 24 mini muffin pan with cooking spray or line with paper liners. 2. Whisk together flour, oats, baking powder, cinnamon, baking soda, allspice and salt in a bowl. 3. Whisk together egg, applesauce, sugar, buttermilk, oil and vanilla in another large bowl; add to oat mixture and stir just until combined. Stir in pumpkin seeds and flaxseed. Spoon evenly into prepared muffin cups. 4. Bake in centre of oven for 18 to 20 minutes or until firm to the touch and cake tested inserted in centre comes out clean. 5. Cool pan on rack for 5 minutes. Remove muffins from pan and cool completely. 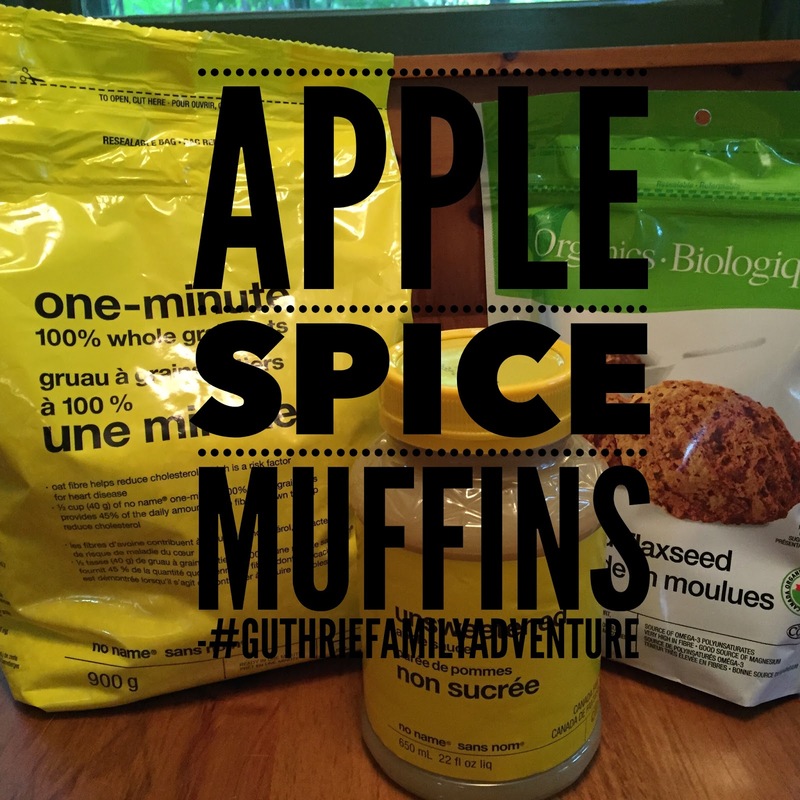 We ended up eating 6 of the warm Apple Spice muffins fresh from the oven. The remaining 18 were put in reusable containers for a grab and go option on the way to school. I took several muffins to the Blissdom Canada conference as a healthy breakfast option that gave me energy and also saved me money. Our second selection was chosen by my 12 year old daughter. On Friday mornings KT trains with her swim team from 6:00 am – 8:00 am. We often buy or grab a snack on the way home from her training session in lieu of a proper breakfast. KT decided that she wanted us to have a healthy, quick, yet elegant breakfast together. She prepared these very pretty breakfasts for us as a treat, this is absolutely not the norm in our home. It was a lovely way to spend a fall morning together. It took KT 5 minutes to prepare both of our fluted breakfasts, most of the time was spent making sure everything looked pretty! Layer 2 tbsp (25 mL) granola, 3 blueberries, yogurt, and applesauce in a parfait glass,top with remaining 1 tbsp (15mL) granola and 3 blueberries. Enjoy. The children and I have enjoyed our first adventure with President’s Choice products. We have now moved on to lunches and dinners. I cannot wait to share our “aha” moments and tasty recipes with all of my readers. At the end of the third post, our dinner post, I will be giving away a $50.00 President’s Choice gift card to help you recreate some of our recipes or for you to use to create your own. 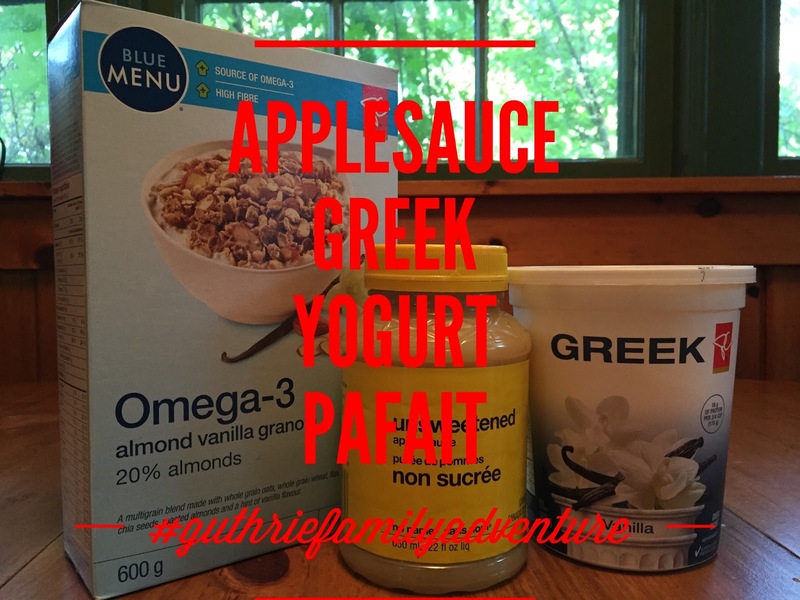 What is your go to quick, easy, and healthy breakfast option for your busy family?